Worldwide research, interviewing key witnesses and discussing the subject with astronauts, military and intelligence specialists, pilots, politicians and scientists, has established Timothy Good as a leading authority on UFOs and the alien presence - the most highly classified subject on Earth. He became interested in the subject in 1955, when his passion for aviation and space led him to read a book by Major Donald Keyhoe describing UFO sightings by qualified observers such as military and civilian pilots. In 1961, after reading a book by Captain Edward Ruppelt, a U.S. Air Force intelligence officer, he began to conduct his own research. Since then, he has amassed a wealth of evidence, including several thousand declassified intelligence documents. 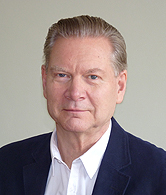 Timothy Good has lectured at universities, schools, and at many organizations, including the Institute of Medical Laboratory Sciences, the Royal Canadian Military Institute, the Royal Geographical Society, the Royal Naval Air Reserve Branch, the House of Lords All-Party UFO Study Group, and the Oxford and Cambridge Union societies. In January 1989, following the dissolution of the Soviet empire, he became the first UFO researcher from the West to be interviewed on Russian television. He was invited for discussions at the Pentagon in 1998, and at the headquarters of the French Air Force in 2002. He has also acted as consultant for several U.S. Congress investigations. He is known to millions through his numerous television appearances and has co-produced several documentaries on the subject. Timothy Good's first book, Above Top Secret: The Worldwide UFO Cover-up (1987) became an instant bestseller, and is regarded widely as the definitive work on the subject, together with the fully revised and updated book replacing it, Beyond Top Secret: The Worldwide UFO Security Threat (1996), which remained for five weeks on the Sunday Times bestseller list. Alien Liaison: The Ultimate Secret (1991) spent thirteen weeks on the same bestseller list. Alien Base: Earth's Encounters with Extraterrestrials (1998) went to No.4 on the Guardian bestseller list. His book, Unearthly Disclosure: Conflicting Interests in the Control of Extraterrestrial Intelligence (2000) was serialized in the Daily Mail. He has also edited a number of books on the subject, including the bestselling Alien Update (1993). Four of these books have a foreword by Admiral of the Fleet The Lord Hill-Norton, former Chief of the Defence Staff and Chairman of the NATO Military Committee. Need to Know: UFOs, the Military and Intelligence (2006/2007) is now published in paperback in the U.K., U.S and Canada. Good’s latest work - EARTH: An Alien Enterprise – is due for publication by Pegasus Books (New York) in November 2013. Born in London, Timothy Good completed his formal education at The King's School, Canterbury. As a violinist he gained a scholarship to the Royal Academy of Music, where he won prizes for solo, chamber and orchestral playing. His professional career began in 1963 with the Royal Philharmonic Orchestra. He played for fourteen years with the London Symphony Orchestra, and has freelanced with the English Chamber Orchestra, London Philharmonic Orchestra, Mantovani Orchestra and Philharmonia Orchestra, among others. Composers he has played for include Leonard Bernstein, Benjamin Britten, Igor Stravinsky and William Walton. He has also freelanced as a session player for television dramas, commercials, feature films, and recordings with pop musicians. Among those he has recorded for are Phil Collins, Depeche Mode, George Harrison, Elton John, Paul McCartney, Rod Stewart, and U2.